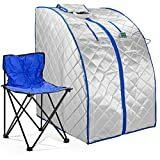 The SereneLife Portable Infrared is our pick for the best home sauna because of its portability, ease of setup and its inclusion of a chair that can allow you to sit for hours with more comfort. It is ideal for home detoxification. Our step-up pick is the Durasage Portable Indoor and this one is very easy to put together at only 5 minutes, and can be used at home or anywhere. It has a chair and a foot pad included and has a large size that fits most people. The budget pick is the Hindom Box Portable and this one is also portable and comes with carbon heating panels that are all ETL approved and eco friendly. It comes with 5 temperature settings for you to use depending on your needs. A sauna can be found in either private areas or public places. The difference between private and public types is that the private ones are usually smaller and can fit somewhere from 1 to 3 people at once. The public ones, however, are those that can fit up to 10 people or more. The public ones can be larger than 5 feet while the private and home ones can be just around 4 feet or less. Those who do not want to always have to go to a public place can enjoy the pleasures of home therapy. 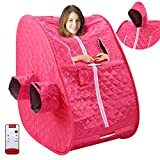 If you don’t enjoy being in a public area due to certain issues then you can buy yourself a home sauna for you to feel warm in the comfort of your home and also feel its benefits. It can be found anywhere in the world but the most common place can be in Europe or north Asia. Finland is known to be the best in this field of activity. In Finland, this kind of heating room is an important part of their culture so they will usually have these rooms in nearly any home and public area. They usually have traditional types that use the water and stone method. Remember that excessive heat can lead to dehydration, so make sure you get sufficient recovery time first, especially if you are a beginner and not very used to high heat temperatures. Dehydration can be combated with properly drinking and the right time of using the room. Construction of body and door: the body and the door can be made of different materials. Some have a wooden door but most today have a tempered glass door that is durable and see-through and can also be scratch-free. For home type rooms, they can either be made of glass or wood. The wood material for the body can be usually made out of red cedar wood and Canadian hemlock, and they should be sustainably harvested. Heating method: the heating method can be different from each other, such as carbon and ceramic for heating types, and the traditional heating method for those who want to make use of stones to heat up and add humidity. Infrared heaters are less hot compared to the traditional types, and this is why they are preferred by those who just want an at-home system that is easy to set up. The traditional types are most ideal for public areas. Ease of installation: usually, if you want a home type heating room then you should consider one that is simple to set up with its construction. It should come with a user’s manual so that it will be simpler to install for you and the electrician. The plugs should be compatible with your current electric system and vents, if present, should be simple to install as well. Number of heaters: consider the number of heaters that are present in your home heating room. Most can have 6 to 7 heaters depending on whether it is ceramic or carbon, but some higher end ones can go for up to 10 heaters at once, usually those that are priced above $2,000. Indoor or outdoor use: you need to consider whether your home heating room will be used for indoor or for outdoor use. Indoor ones are usually the most ideal for home use, but those that are for outdoor use can be situated in patios and the like. Indoor ones are easier to install with your current and existing system but outdoor use may take some time and effort to install all in all. Method of delivery: some can accept curbside delivery while some may be difficult when it comes down to the delivery options. You should ask the manufacturer first on where they deliver, depending on the size of your unit and where you live. Usually, the bigger ones that have more features can be harder to deliver so you need to consider various factors with this criteria first. Added features: consider those with added features such as chromotherapy, ionizer, music player, lights, backrests and many more. You can have these additional stuff if you have the budget and the needs for it, so it is important that you pick one for your best preferences. Usually, more added features means a higher price tag, so you should consult your wallet first. Warranty policy: some companies offer a longer warranty period but this depends on the product that you order and its size and features. Some can offer 5 to 7 years of limited warranty policies but some can go for as much as 10 years of warranty. Know all of the factors to consider in the warranty such as the return methods and the like. As our top pick, the SereneLife Portable Infrared is very portable and easy to use and move from one place to another. It comes with a foot pad and a chair for comfort and is easy to control as well. It can heat up within 5 to 10 minutes and it also comes with timers and the like. 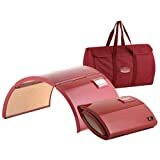 While not a deal breaker, the SereneLife Portable Infrared is only for 1 person, but there are other models out there that are meant for 2 people or more. The Durasage Portable Indoor is our step-up pick, which uses infrared technology and can be set up to 60 minutes of maximum operating time. It only takes 5 minutes to heat up the surroundings and it comes with a chair and heating foot pad as well. The Hindom Box Portable is our budget pick, which can be set up to 150 degrees F of temperature. It is made with ETL approved carbon panels for heating and can be set up to 5 levels of temperatures for your added convenience. The ALEKO PIN15SY is a personal home use type of heating room mechanism that comes with a foot pad and folding chair for your convenience. It can be used for up to 60 minutes and can heat up to 140 degrees Fahrenheit. If you want a portable one then you should consider the Anfan 2L Portable, which you can bring anywhere for additional weight loss and detoxification in your lifestyle. It comes in 2 colors and also comes with an adjustable timer to time your stay there. 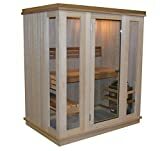 Made for a 2-person configuration, the DYNAMIC SAUNAS Andora is great for those who enjoy a bigger sized one. It uses Canadian hemlock for the panels and plugs into any standard 110-volt system. It also comes with mp3 player compatibility. The Almost Heaven Grayson is a great 4 person unit that can be used for indoor areas. It has a hemlock and fir combination for the wood and comes with a stainless steel heater that is at 6 kW in its power consumption. It has a delay factor option for up to 8 hours. For those who want a dome shape, the Crystal Ray KOREA is a good choice, which is foldable and portable. It consumes less energy than other units and it has a unique design. It is designed for home use and can be folded when not needed. The Almost Heaven Bluestone has enough space up to 3 people and comes with a stainless heater at 4.5 kW. It has an LED lighting system and comes complete with a set of stones, a bucket and a ladle for that traditional feeling. The Empava 2-3 Person is powered by carbon heaters totaling to 8 in the whole unit, and is protected by durable Canadian hemlock wood. It can be set up to 141 degrees Fahrenheit and can take 15 minutes to heat up. It can be set up with your mp3 player and has a radio and Bluetooth speakers as well as an ionizer and lights for reading. While others looked promising, they were not in this list because they were not very durable with their material. Also, they were hard to install with lack of user’s manual and they had less features for a higher price, which is not really economical. Q: What should I wear when using the sauna? a. Towel – the most basic thing of all is to just wrap a towel around you, especially for those with private rooms. In public rooms, this can be a bit awkward, especially in a mixed room, so most people wear towels only in private rooms. However, the benefits of using a towel instead of other garments is that it helps your skin breathe and maximizes the added benefits of being in this kind of heating room. b. Loose swimsuit – if you don’t like the idea of towels because you feel embarrassed or awkward and you need to protect your privacy, especially in a public area, a loose swimsuit would do the trick. It should be made of natural fibers so that it will not leak out any dye from the tremendous heat produced by the room. Again, like with towels, you need to make yourself clean first by rinsing before going inside. c. Cotton – if you need to consider more coverage because of cultural cues, such as in conservative parts of the world, such as in Asia, consider any cotton shirt, shorts or any garment to help you experience a similar breathability with having a towel wrap. Underwear should be left out – this also means lingerie. d. Don’t wear “sauna suits” – because these suits don’t really have natural fibers and they can interfere with the environment of the room due to the heat potentially exposing the plastic and synthetic fabrics of your suit. Consider any natural fabric instead so that it will be eco-friendly and more breathable. e. Don’t wear shoes or footwear – this can make the flooring dirty and can be blown into the air, contaminating the inside of the room. They also hold heat which can make your foot irritated with athlete’s foot and similar foot problems. f. Don’t wear sweaty clothes – they can contain all of the dirty stuff and can leach into the air of your heat room. This is why you need to ditch them to avoid contaminating the surroundings, especially if you are in a public room. They will also make the air smell bad if you keep wearing them for your session. g. Clean your items with vinegar – cleaning your towel or sauna garment with a harsh detergent can make the inside of the room less pleasant. Do consider washing it with a milder detergent, if you really need to get it clean. Q: What are the benefits of using this heating room? 1. Added relaxation – using this kind of room helps your entire body to relax, much like with getting a back and neck massage. The heat from the room can penetrate your skin and become a soothing feeling that can help you to relax. If you have been stressful lately due to some problems at work or in school or at home then unwinding with this kind of activity in the heating room can help alleviate your stress. 2. Relief from joint, body and muscle pains – one of the key benefits of this kind of heating room is that your muscle pains can be relieved, especially after an exercise. Those with problems in their joints and body aches can also feel the therapeutic effects of this kind of heating room. The heat that is generated can help with your various body pains so that you can work or study effectively later on, or do your other activities better. 3. Helps with blood flow – it is important to have a healthy blood flow so that you will be less likely prone to heart problems, hypertension and the like. One way of doing so is by getting into this kind of heating room so that your blood flow will be regulated and will not become stagnant, which can lead to various illnesses and problems in your body. Aside from regular exercise, adding this kind of heating therapy helps a lot. 4. Alleviates negative feelings – aside from its relaxation benefits, it has a great way of relieving your stress, anxiety and other bad feelings you have felt lately. For those who are going through any form of depression or negativity in their life, a great way to relax and loosen up is with this kind of heating activity to improve their mental and emotional health as well, which are also both important in anyone’s life and daily activities. 5. Adds endurance to your physical and mental health – it helps you to become stronger in various physical activities such as with exercise, sports and the like. It also adds more positivity to your mental health when you endure the heat of this kind of room. Endurance and immunity can be boosted with this kind of room because it releases endorphins, much like with exercise, for you to feel good inside and out as a person. Q: Why is Finland considered the sauna region of the world? a) It’s part of their culture. Finns are very much known to be the origin for this kind of activity simply because it is an integral part of their culture, history and everything in between. It is like an identity for their country so it is no wonder that you will find this kind of heating room almost anywhere, from private homes up to the public areas, in which many people treasure the heritage and gather in them. b) Nearly 3 million saunas are in the country. In most cases, you will more likely find these kinds of rooms more than you will even find automobiles in the country. This shows their extraordinary love for this kind of activity more than any other country in the world. Their immense support to this kind of health activity is so deep that there is roughly one to two persons per room, which is pretty lucky. c) They like to dip in cold, icy lakes afterwards. This is known to be a custom in this country and in this kind of activity, and is a true test of power for most Finns. They also do it in other parts of the world, but it originated in this country. It can be dangerous if you are not physically fit, however, but for those who want to test endurance, it will feel good and is a great experience. d) They promoted whisking – using a birch twig. This kind of activity is mostly done by the Finns but is now being adapted by the rest of the world when it comes down to this kind of heating room. This whisking activity is done for adding more blood circulation while you are in the public or private room. e) They have their own terminology with sauna stuff. One of the really cool things about the Finns is that they call the stove, the ladle, the rocks, the water, etc. with specific terminology that only they use and understand. Simply put, their obsession with this kind of heating room is very deep indeed. Q: Why should I add a sauna to my home? A good way to detoxify is to add this kind of heating mechanism to your home. It helps if you want to get rid of all the bad stuff from your body so that you will feel healthier inside and out. It helps if you have trouble with pains in your muscles after any exercise or physical activity. For those people with constant muscle pains and the like, it can help alleviate these pains similar to that of a massage due to the heat. For those people who have been plagued with stressful activities, events and the like. This is a great stress reducer activity that you can do to help reduce your anxiety, stress and various negativity in your life. It pays to have a healthy circulatory system so it can really help if you add this kind of heating room to your home area. It helps to add vigor to your circulatory system so that your blood flow will be regularized and maintained well. This kind of activity can help boost your metabolism so that the fat in your body doesn’t always stay there, leading to some manner of weight loss or management. It is a supplementary type of activity that heats up your body and makes you sweat even more to help burn some fat and calories along the way. One of the greatest benefits for using this kind of room at home is that it improves your skin quality and is great for those who may have acne problems and skin irritations. It helps your skin to breathe better so that it does not get clogged with bad bacteria and dirt all the time. Those with respiratory problems such as allergies, clogged nose, sinus problems and the like may benefit from this kind of heating room activity. It helps if you can control the steam and humidity to add to the vaporization method to help alleviate such respiratory problems. Q: What should I watch for or consider when using these rooms? Because things can get hot in this kind of room, it is important that you stay safe by staying away from really hot stuff so that you won’t risk burning yourself or any part of your body, which can be a traumatic experience for most people. Consider staying safe while you are using this kind of heating room. For men, it can be dangerous to stay inside this kind of heating room all the time because it can take its toll on the sperm count of a man. This is why you should always make sure to only stay at reasonable amounts of time and take breaks in between to avoid infertility problems. Just as with men, women may also have problems when it comes down to the amount of heat in this kind of heating room. Pregnant women may experience problems with their offspring if they use it while they are pregnant or even when they have given birth and are nursing. This is a problem for most people who go in the room with their shoes on. Wearing shoes can most likely give you athlete’s foot so make sure you walk barefooted at the very most. Do consider not using it if you have such fungal infections to avoid spreading it into the air and the area. Because feeling thirsty is something that can potentially happen if you are in this kind of indoor heating room, it is inevitable that you may start to feel thirsty. However, sauna water is absolutely not that safe to drink, especially if you’re a person with a sensitive stomach with water. Consider getting fully hydrated before or after the session in this case. Dehydration can happen if you spend too much time in this kind of room due to the excessive heat. Consider drinking a lot more before you get inside the hot room to avoid the risks of dehydration and likely fainting or dizziness. Dehydration is a very dangerous situation so you should address it properly. While it is a fun activity and an added challenge for most people, especially the Finns who take pride in this kind of activity, it can be dangerous for those who are not properly trained for it and are not physically fit to do the activity. There can be sudden death if there is complication with dehydration and other factors. It pays to stay safe in this kind of heating room and not to spend too much time in it. Remember that it is not a contest of manliness but it is supposed to be a relaxing activity, which has limits as well, like the human body. Q: What are the sizes of rooms to choose from for this kind of room? 1. Single Tier – this is a smaller room that is intended for those who are potentially solo or just for one person when it comes down to a heating room. Q: Why are these heating rooms made of wood? a. It tolerates heat very well. One of the key points as to why these kinds of heating rooms are made with wood is that heat doesn’t melt away unlike other materials. The heat inside this kind of room is no joke and this is why you need a quality wood that can do well with this heating mechanism. b. It doesn’t retain moisture. Compared to other materials that do not do well with moisture, some wood types are good with such moisture and humidity. It is important that the wood does not retain moisture because it can help prevent the likelihood of mold, bad bacteria and the like that can harm the air quality. This is also why some of these units may also have an air purifier and ionizer alongside it. c. It uses natural oils and preservatives to combat mildew. These natural oils can vary depending on the type of wood that you have, so it is important to pick high quality wood that is not only sustainably harvested, but is legitimately rich in oils that can keep the mold and mildew away while being used for a long period of heating time. d. It eliminates bad odor from people when they sweat. We all know that when people sweat due to really hot environments, the result is either a sweaty sports like odor or even body odor that is caused by germs and viruses. This is why you need something that gives off a more natural scent that will make you feel like in a forest instead of being in a clumped room full of sweaty smells. Q: What kinds of wood materials are used for this kind of heating room? a. Cedar – this is the most common kind of wood type for either infrared or traditional types due to the fact that it is great against mold, mildew and moisture. It has a reddish color that has a darker brown shade, and it is best known for not easily expanding or contracting compared to other wood types. If you see one that is made for commercial use then it is most likely made out of cedar due to its durability. b. Basswood – if you are not good with wood residue of other wood types then basswood is a great choice for you. It is also applicable for commercial use and it has a lighter color. 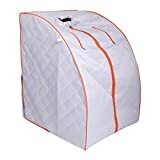 It is also quite durable with any kind of temperature adjustment and does not emit any harmful toxins that can potentially cause allergies to people. c. Hemlock – any hemlock made room is usually darker in color, and it is usually Canadian hemlock that is used to make it. Hemlock is a choice for those who don’t have a lot of budget for cedar or basswood, and you will most likely see it in infrared types. d. Pine – pine is another type of wood that can be seen in low-end types as well as in infrared types. Pine has a lighter color than hemlock and it makes the cost of the unit slightly cheaper. e. Spruce – where spruce is available much like pine, it can be a cheap alternative for basswood and cedar due to its lower price value. f. Eucalyptus – this is a good wood type that can be great for outdoor use due to its durability as well. It is also a cheaper alternative and it also does not emit any harsh fragrances that may make you allergic to it. This type of wood is also very good in its texture and just-right brown shade. Q: What are the different door types for this room? Q: There are many different types of this heating room – what are they? 1. Traditional or wood burning – these ones are the most commonly found in Finland due to their simplicity and traditional factor. 2. Electric type – these can either be mounted on the floor or on the wall and are mostly used by a lot of countries out there. It can come with a remote control and it is usually safer to operate. 3. Manufactured types – these are the ones that are custom built and you can buy directly from a manufacturer and have it delivered and installed to your home easily. 4. Savu Sauna – also called the smoke sauna, this is a type of heating room that uses much more wood to burn and it requires a lot of time and patience to prepare it. These are only most commonly found in Finland and not so much in other countries. 5. Infrared room – these are the most commercially available today because of their ease of installation, price and convenience. They don’t use traditional stone heating methods and rely on infrared technology, which is either fueled by ceramic heaters or carbon heaters. 6. Steam room – this is also called the wet heater because it is mostly used for adding humidity to the air to give off a steam bath experience instead of a dry feeling. It has a lower temperature compared to a dry type room so it is best for those who don’t want too much heat in general. Q: How much calories can you burn in it? A: When it comes down to the total calories burned, on the average, with this kind of room, the average number of calories you can burn with it is about 63 to 84 calories in 30 minutes. That is when computed with the average weight but this can vary depending on the time you spend there and your body weight. Q: How much does it take to operate this kind of room? Q: How does the sauna compare to a hot tub? a. It is less likely to be a problem when it comes down to maintenance. b. It can help your skin to become healthier and better cleansed. c. Insomniac people can help get relief from their wakefulness. d. They tend to be cheaper in terms of unit and maintenance fees. e. They consume less energy in the long run. f. It is good for your immune system overall. g. Your home resale value can potentially increase. a. It is not recommended for pregnant women. b. Installation can be difficult in general. c. Male infertility problems can potentially happen. d. You may need a lot of space at home for it. e. Installation fees tend to be on a higher scale. a. They can be easier to install overall. b. It helps with people who have insomnia and the like. c. It helps for those with muscle aches and pains. d. Installation costs are cheaper. e. It helps with maintaining better blood sugar levels. a. It may not have a good resale value at all. b. Materials can cost more. c. Like with saunas, they may have bad effects for pregnant women and the sperm count of men. d. Energy efficiency is not very good compared to the hot room. e. Maintenance can be troublesome overall. Q: How much do I need to spend for installation costs? Q: Is it possible to build your own sauna? 1. Consider the wiring of your heating room system. 2. Add insulation so that it will reduce on the operating costs. 3. Reflection of the heat can be done with a foil vapor barrier. 4. Add the wood panel, preferably cedar wood for a quality finish and durability. 5. Install the heater onto the wall inside the room itself. 6. Mounting the heater depending on the preferences or manufacturer’s recommendation comes next. 7. For traditional types, you can add the rocks next. 8. Install the benches depending on the size of the interior and the position it is configured for. 9. The door should be installed next and this depends on the type of door you have. 10. Adding trim can help make your room look better finished and cleaner in the looks. 11. Install the flooring as recommended. Q: How do I practice sauna etiquette? 1. Don’t bring unnecessary electronic gadgets inside, which can distract others. 2. Talk in a soft manner so as not to disturb others. 3. Close the door quickly. 4. Public rooms shouldn’t be used for drying clothes. 5. Make sure you shower first before going in. 6. Bathing should be done with a towel wrap or less clothes. 7. Shaving shouldn’t be done publicly – only in an at-home unit. 8. Performing exercises in a public room can be distracting for others. 9. Ask others on how much water should be poured on the rocks. 10. Be courteous towards other people. Q: What’s the difference between a steam room and this kind of hot room? Steam room: this one is usually meant for wet and humid conditions, which is great for respiratory problems and allergies. 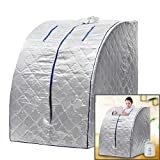 Sauna: this one is for those who want a dry condition, and is great for backaches, muscle pains and joint aches, as well as for casual relaxation. Q: How do I stay safe in this kind of heating room? 1. Keep each session from 15 to 20 minutes only, unless you’re an expert with heat endurance and want to keep up to 30 minutes. 2. Make sure you have 10-minute breaks in between sessions to avoid the risks of dehydration. 3. Adding a cold shower afterwards can help you to cool down in between sessions. 4. Make sure jewelry are out of the room because they can cause irritation to your skin. 5. Consider bringing someone with you in case something bad happens. 6. Make sure you get hydrated before you get there and after each session. A good amount is around 2 to 4 glasses of cold water or any drink that can hydrate you. 7. Don’t force yourself to stay in, even with peer pressure. By all means get out if you feel uncomfortable so that your condition will not get any worse. Q: Does it help alleviate acne? A: Yes, in most cases, it can help alleviate acne. This is because your pores become more opened when you sweat more while you are in the heat of the room. This helps your skin to breathe better. However, you should go for a shower quickly to avoid breakouts because sweat can get stuck in between the pores of your skin. Q: Can it help with detoxing my body? A: Yes, this kind of heating room can help with body detoxification because of its therapeutic benefits. When combined with other therapies such as herbal medicine and the like, you can achieve a fully detoxified feeling inside and out. 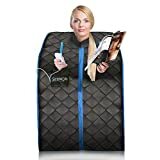 Overall, the SereneLife Portable Infrared is our pick for the best home sauna due to the ease of use, portability and great design that can be set up in any part of your home.